Is NH4C2H3O2 Soluble or Insoluble in water ? 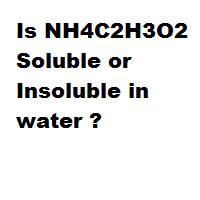 Home › Soluble or Insoluble › Is NH4C2H3O2 Soluble or Insoluble in water ? Question: Is NH4C2H3O2 Soluble or Insoluble in water ? 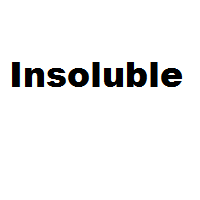 What is Soluble and Insoluble ? 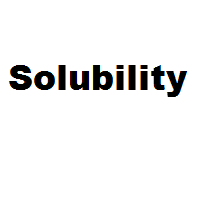 Solubility is the property of a solid, liquid, or gaseous chemical substance called solute to dissolve in a solid, liquid, or gaseous solvent. The solubility of a substance fundamentally depends on the physical and chemical properties of the solute and solvent as well as on temperature, pressure and the pH of the solution. The extent of the solubility of a substance in a specific solvent is measured as the saturation concentration, where adding more solute does not increase the concentration of the solution and begins to precipitate the excess amount of solute. The solubility of a substance is an entirely different property from the rate of solution, which is how fast it dissolves. The term insoluble is often applied to poorly or very poorly soluble compounds. A common threshold to describe something as insoluble is less than 0.1 g per 100 mL of solvent. If the answer is wrong. Please comment below or contact us.